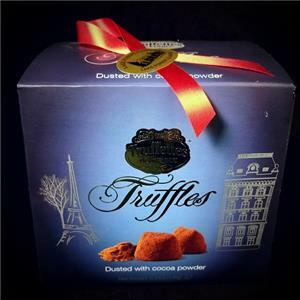 All-natural chocolate truffles with a creamy texture.Coated in cocoa powder for a luscious finish. The most exquisite chocolate truffles ever concocted. Perfect treat for all occasions; Kosher Made in France 2.2 lbs per box.